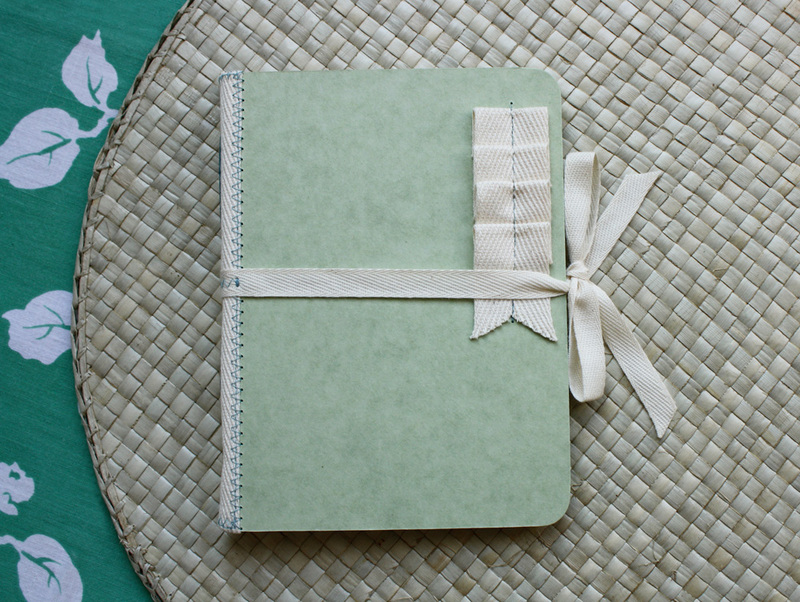 I have a collection of vintage green file folders and am finding new ways to upcycle them. The metal tabs are too rusty to use, but the green card stock is in good condition. For this project, I cut the folders up and combined them with twill tape and plastic photo pages to make small photo albums. 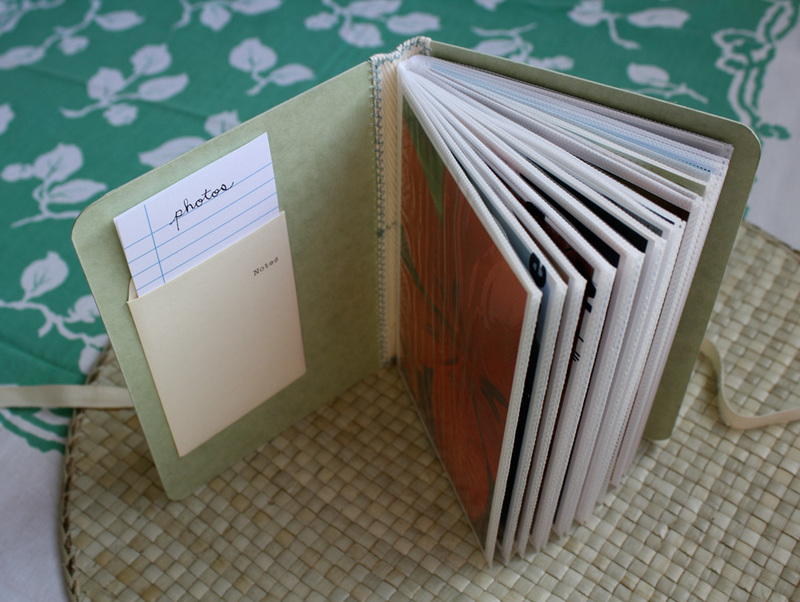 The plastic pages are pulled from a second hand photo album. They were easy to sew into the cover using a simple pamphlet stitch. I found the different sizes of twill tape at twilltape.com. The albums will post in my Etsy shop on Friday, along with the Idea Index books… coming soon! A new round of books are in progress! I am combining two of my favorite designs into one. 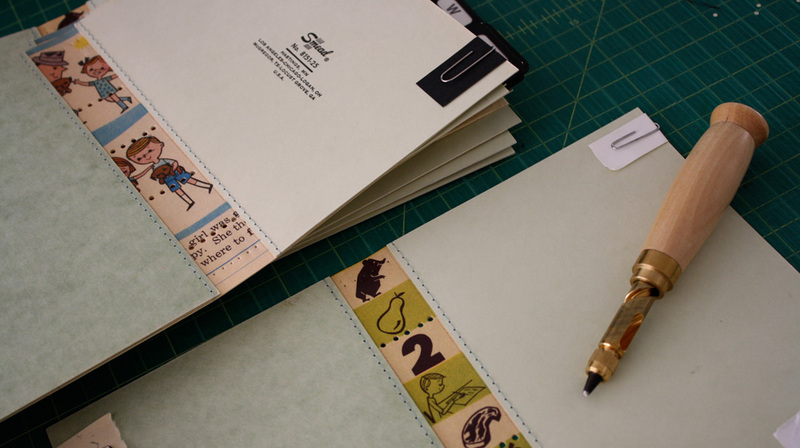 The covers are made from vintage index tab dividers and will include a set of hand made tabs for personalization. The spine is much like the Bingo Books that I made a few months ago, featuring cute illustrations from a vintage children’s primer. My new Japanese screw punch really came in handy this time! I plan to have them up and ready for Poppytalk’s new Market on September 21. You are currently browsing the Erinzam News weblog archives for September, 2009.